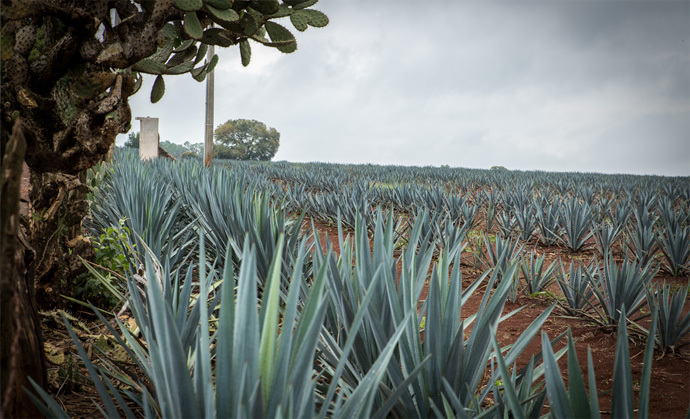 The Blue Agave is rich in its flavor and history. Find our why it makes Embajador Tequila a comfort for the soul. Keenly observant, the ancient peoples of this area stumbled across agaves that singed by wildfire, had begun to emit the sweet liquid known as aguamiel (“honeywater”). It was the Spaniard, ever-talented with the still, who fired the fermented nectar until its lighter spirits escaped and condensed into a coarse firewater. The process improved with the passage of time, as ancient Spanish earthenware designs were replicated and gave birth to Mexico’s first fired-clay distilleries. Beginning in the 1950’s the tequila industry adopted the best of modern technology and expanded production by planting agave in new areas. Able to attain a superior consistency of result, distilleries flourished. Today, agave fields shade the landscape of Jalisco. Their enormous fruits embellish the dreams of many and bring pleasure to all, earning industry wide recognition among the nations of the world.